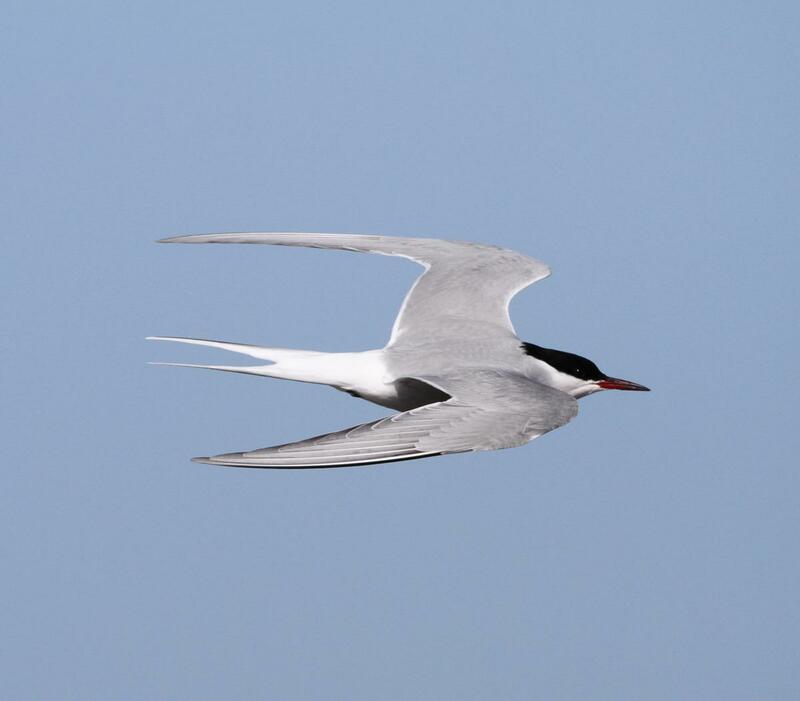 Arctic Terns are abundant long-lived birds featuring gray, white and black plumage. Eating mostly fish and small marine invertebrates, Arctic Terns are famous migrators, flying from their northern Arctic breeding grounds to the Antarctica coast and back again each year. For Arctic Terns nesting in Iceland, that’s a 70,900 km round trip. The long journey ensures that these birds see two summers per year and more daylight than any other creature on the planet. If a diminutive 105 g bird can navigate both arctics, you, an immortal pilot, can navigate New Eden. What’s more, if it suits you, you can navigate it small, with style, like the Arctic Tern. When you’re small, you get to define your own goals. If you’re a sweet summer child like the Arctic Tern, you’ll pursue summer year around. If you’re an immortal pilot entranced with the law like me, you’ll often traverse highsec. When small, discovering you can’t blithely do what you want, where you want, when you want in New Eden is not humiliation, rather, it’s accepting that EVE is a dangerous place you must negotiate. Each player chooses for themselves how to steer EVE’s hazardous shoals. Whether danger originates from menacing NPCs (like all powerful CONCORD) or malevolent players (Grrr Pandemic Legion) makes no difference. Small players navigate to thrive. 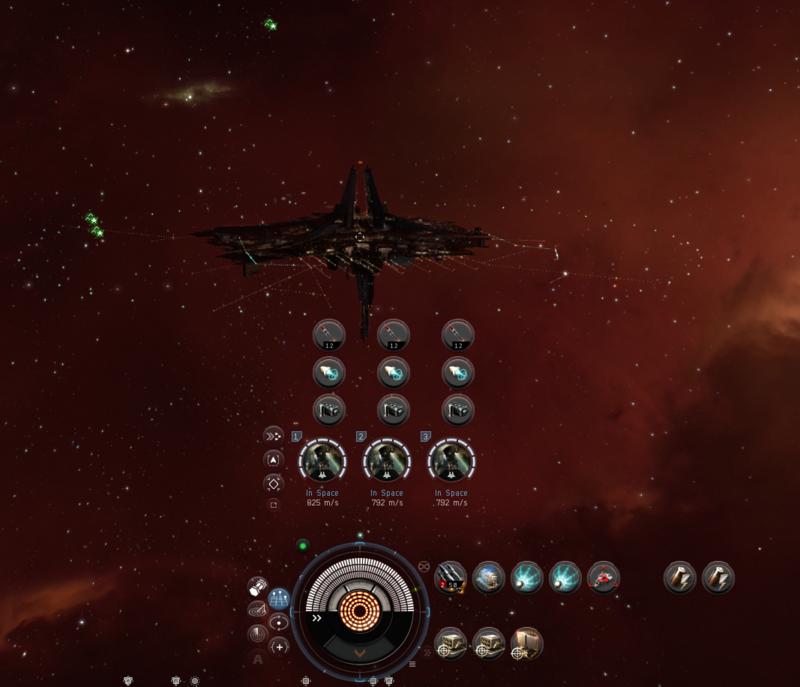 CCP has made attacking *and* defending Citadels community endeavors – it takes a team. Attackers, being attackers, have the initiative, leaving immobile Citadel defenders incontestably cooked without similarly sized defending team since Citadels, compared to the mobile ships attacking them, aren’t that terribly powerful (especially in highsec with Citadels’ limited offensive options). Consequently, Citadels’ current instantiation befuddles appealing small activities like reasonably wealthy pigheaded Citadel owners putting up a stout defense because they don’t have, or are unwilling to assemble, the required defending team. Accordingly, for a reasonably wealthy pigheadedly small player such as myself, Citadels’ hold limited appeal. If CCP could find a way to balance Citadels enabling competitive asymmetric game play, tossing opposing team player groups and pigheaded smalls onto the same grid, I’d be enthusiastic about participating. As such a Citadel owner, I’d be happy simply giving as good as I got which, in isolation, Citadels currently aren’t able to do (again, especially in highsec). This is a big ask, however, since balancing Citadels around my pigheadedly small play style would also turn them into overpowered monsters when utilized with defending teams. So I don’t ask. Instead I play the game we actually have. Being a long time manufacturer, Summer 2014’s Crius expansion required adaptation. Pre expansion, congestion slowed production as jobs waited their turn in the queue. Post expansion, the queue was replaced with a congestion driven ‘system cost index’ premium. The change proved earth shattering. Pre expansion, convenient manufacturing locations could compete with other locations but work proceeded slowly. Post expansion, convenient locations grew a price premium, meaning work proceeded at speed but ballooning expenses could drive those locations into infeasibility. To remain competitive, I moved operations three times. First to a still convenient location not far from my hub but not yet exploited. Others, facing the same dilemma, eventually moved in as well ruining the party. Second, to a rather inconvenient location many jumps from my hub. No others followed and I soon discovered why, the painful commute impaired the pleasure. What I needed was ‘convenient but unpopular’. What I needed was lowsec. Appropriate lowsec location was soon scouted out. A delicious little spot stunningly close to a hub but behind a riffraff-deterring, gruesomely camped gate. Knowing there would be gate camp crashing in my future, manufactured product had to adapt. No more bulky boats or modules for me. I’d concentrate on rig manufacture only. I’d pack a briefcase full of diamonds and giggle with delight every time I scampered through the wreckage and corpses littering my ‘no riffraff’ camped gate. It’s gone well. I appreciate the resident brigands keeping my business viable and occasionally we exchange friendly waves in local as I hold them at arm’s reach. But all parties must end and the other morning I faced last call. Local signified a camped gate – Russians. With business to conduct I packed 445 million worth of product in my blockade running Prowler suitcase, exited station, warping to an insta-undock and engaging the cloak. All cloaked up, I then warped to my camped gate 0 bookmark and, upon dropping out of warp, spammed the jump button to find . . . nothing happening. Tranquility and I, we weren’t commuting. Hmmm. This could be grim. I’ve had disconnects before, occasionally at inconvenient moments and even at this very gate. My last disconnect at this gate was ever so slightly post-jump leaving an unending gate jump animation followed by eventual successful re-sign on in highsec safety. This disconnect, however, was pre-jump, leaving me sitting on the lowsec side of the gate wondering if the jovial Russian jackals were mauling me. As I stared at the screen I knew the die was already cast, the narrative already written, the contract already signed, so I shut the computer down, finished my morning coffee and began my work day. At lunch I calculated out possible losses: 445 million in the hold, 153 million worth of outfitted Prowler and 1.083 billion worth of implants packed away in my character’s gorgeous head. 1 Billion, 681 Million. Grim indeed. Later, when I successfully logged back on, I saw good news. The character choice screen told me I remained undocked and still in the Prowler. The jackals hadn’t dined on me . . . yet. But where would logging back in land me and what hungry predators might I find there? Reconnaissance was required, so I logged an alt in the system first to spy local – hmmm the afternoon Western European campers appear to be on shift, we’ll wait for evening. And evening proved clear of the usual Americans. Let’s pull this trigger. Logging in my stranded pilot landed us not at the gate but rather back on our station exit insta-undock bookmark meaning, lengthy hiccup aside, business as usual. The party continues. Should the muse strike you, feel free to critique my fit. Even better, toss your own up and show me how it’s done. For a small like me it wasn’t that difficult to do. An undeployed Austrahus Citadel fits in a typically equipped blockade runner’s unscannable cargo hold. If you want to save some ISK you might purchase in Jita, haul unnoticed through the Uedama choke point on the way to your favorite out-of-the-way highsec location where you’ll deploy the beast well off plane. You might even scan down mission runners to find that off plane spot. If you don’t give public access, no one’s likely to run across it way out there and if they do, it’s going to take them no less than eight days and two wardecs to bring the beast down, all presuming they enduringly hate you and you don’t interfere with their malevolent plans. What’s more, you’ll get at least 24 hours’ notice before that first wardec goes live enabling plenty of time to decide if you’re even going to bother defending that first, terribly onerous 3 hour vulnerability window. If you’re marginally clever (and keep in mind, I’m only marginally clever) you’ll fob the labor off on an alt making the beast even harder to find. An Arctic Tern could do this. What’s stopping you? I should also say don’t swagger but it’s too late, I already have. Both may get you noticed and when you’re small, drawing undue attention can go badly. Time, as always, will tell. Arctic Terns don’t grouse about their long commute, they just take wing and by journey’s end, span the globe. You can traverse New Eden.